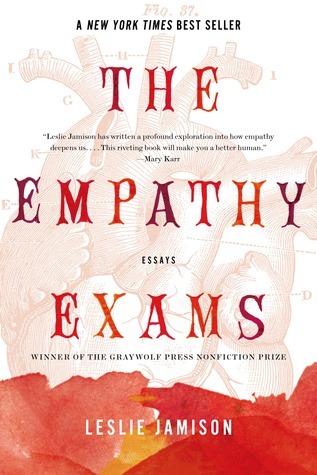 On the cover of my edition of The Empathy Exams, by Lesli Jamison, Mary Karr says that the book will make its readers better people. This is not true. I’m not a better person for having read it. A couple of the members of my book club declared that they weren’t improved by reading it. 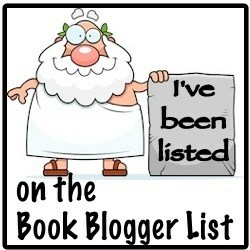 Then our conversation veered into the very short list of books that might actually have changed us. The Empathy Exams does explore how we feel when we witness others in pain or in turmoil, but it’s a very academic exploration. The book begins with Jamison talking about her experience as a medical actor, someone who gives medical students experience trying to get information from patients while also practicing their bedside manner. The actors later score the future doctors on their performance. This is Jamison’s springboard into sharing her own experience with unsympathetic, busy, brusque doctors. The next chapter is about Morgellons-sufferers—more people who get no sympathy from the medical establishment. The chapters that follow are about everything from misery tourism to ultramarathoners to the lack of sympathy women in pain get from society at large. Some of the chapters are fascinating. Others might have been better—for me—if they hadn’t had quite so much of Jamison in them. Jamison is a writer who frequently draws attention to the fact that she’s writing these essays for our consumption. I can clearly see her objective. Empathy should be a lot of things. It should be selfless. It should be unconditional. Empathy rarely is selfless and unconditional, at least as practiced in Western culture. Jamison’s chapter “Pain Tours (I)” was one of my favorites. (It was a favorite of the book group as well.) This chapter asks why some of us are drawn to others’ pain, to be voyeurs when other people suffer. We watch shows on TLC or the Discovery Channel or MTV in which people have interventions for life-threatening addictions and conditions. Some of us spend thousands to travel to places like Potosí to climb down in dangerous silver mines for an afternoon. Being empathetic to miners or addicts makes us feel good. It’s not a comfortable truth to realize about ourselves. Perhaps that’s why I had a lukewarm reaction to most of The Empathy Exams. The majority of the book is about the person who feels the empathy, not the objects of the empathy. The emotion is intellectualized in Jamison’s hands. The emotion is stripped out of the emotion as Jamison discusses why we feel empathy and how we express it. But there is no resolution to the questions Jamison raises. I was left wondering, “Now what?” What do we do with this emotion? Whether we get warm fuzzies for feeling empathetic or not, I don’t think it’s enough to just feel empathy. One has to use that emotion to try and help alleviate pain and suffering. What’s the point of empathy otherwise?